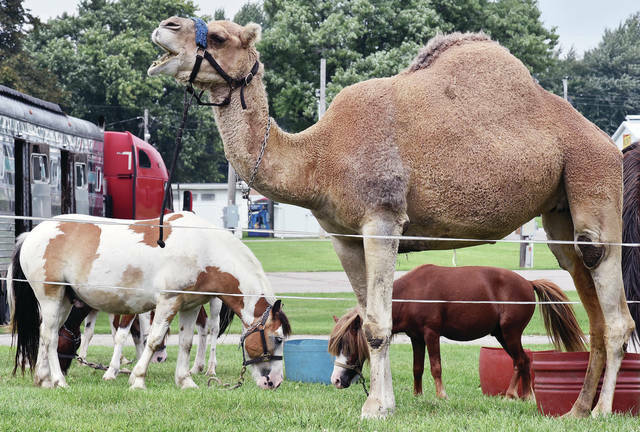 A camel grazes with other animals at the Shelby County Fairgrounds Sunday, Aug. 26. The animals were lounging on the green grass as they waited to perform in the Zerbini Family Circus at 6 p.m. Monday, Aug. 27. The circus will have only the one performance at the Shelby County Fairgrounds.